Here's what I wore to my aunt's birthday party last week. Honestly, I did not know what kind of party it's going to be. All I knew was that it's catered and it's going to be held at a clubhouse of some village. I didn't even bother asking about the dress code! Crazy me, knowing that if one is going to attend an event, one of the things he/she must find out is what type of clothes should be worn. Anyway, since my mum gave me this shorts a few days before the party, I was excited to wear it and I thought the party was the perfect time to do so. I paired it with a yellow top, which made the entire outfit bright. It also made me look so much whiter than I already am and I love it! (Here's a trivia: I used to hate the color yellow but since it has that effect, it's now one of the colours I love to wear!) To top it all off, I wore my favourite pair of shoes from DAS. The shoes made me look a little dressed up even if I'm just wearing shorts -- prefect, since I had no idea what the other guests will be wearing. My outfit's casual but the shoes gave it some attitude! ;-) Oh, I love my trusty pair of heel-less shoes! It turned out, I'm not under-dressed after all! 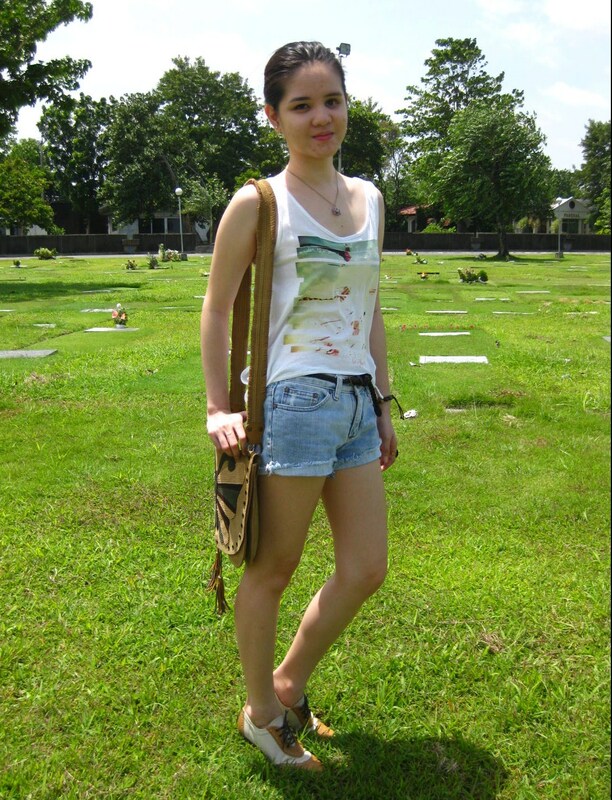 Knowing that the day will be spent visiting my grandfather at the cemetery for his birthday and running some errands with the family, wearing heels was out of the question. Instead, I decided to wear something really comfy. Not only did my Oxfords give comfort; it also added an edge to my look. It's my favourite part of this outfit, really. The shorts was actually an old pair of jeans that was turned into one by my mum. I paired it with a cute little top which I really like because of how its sides were made. I have the option to tie it into a ribbon or just leave it hanging, untied, maybe for a 'lazy' look. In this case, I chose to tie it so that my belt will be seen. After this look, who would say that one cannot look stylish and be comfortable at the same time? Whenever I enter Fully Booked, or any book store for that matter, I almost always see to it that I go to my favourite section, Fashion. Although I prefer buying novels than this kind of books, I love browsing through them. Yesterday, my Mum snapped a photo of me while I was finding my way to the Fashion Section. When I finally got there, I found myself looking for this book. Again. I saw it a few months back and since then, I've always wanted to buy it. Feel like I'd learn a lot from it! 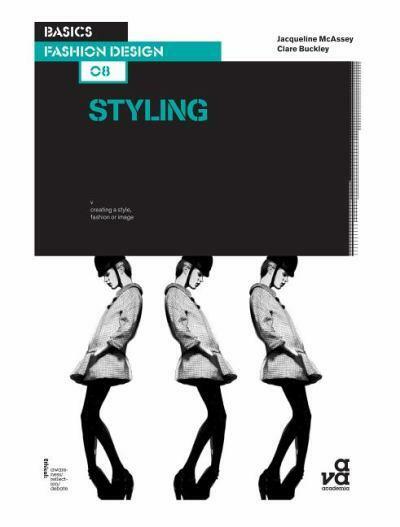 Now that I'm certain that I'm going to take up Fashion Styling at the Fashion Institute of the Philippines, I might get the book real soon! 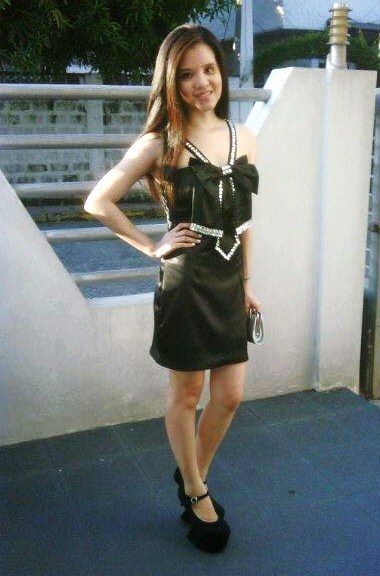 Here's what I wore to my friend Charmaine's Vegas-themed 18th birthday party two nights ago. I must say, it was by far the best that I've been to -- not your typical debut! The Follies de Mwah Multi-Awarded Show Girls performed and they were amazing! Felt like I really was in Vegas. With this bejeweled little black dress, paired with my favourite pair of killer heels (or should I say shoes, cause really, where's the heels? ), you can never be over- or under-dressed!